From the start, Muslim Aid has been monitoring the situation and has been in contact with its partners on the ground to discuss a needs assessment.Through our Japan appeal we have raised over £8,000 to date thanks to our supportive donors. The funds have been distributed to the Japan Islamic Trust (JIT) a local NGO supporting the tsunami affected people in Sendai. Last month a devastating earthquake and tsunami hit the north-east coast of Japan causing large scale destruction. 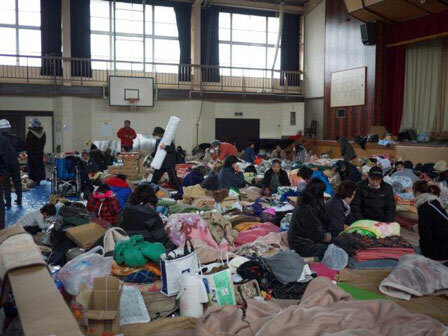 The death toll has reached to over 18,000, while hundreds of thousands of people are now living in temporary shelters. From the start, Muslim Aid has been monitoring the situation and has been in contact with its partners on the ground to discuss a needs assessment. Through our Japan appeal we have raised over £8,000 to date thanks to our supportive donors. The funds have been distributed to the Japan Islamic Trust (JIT) a local NGO supporting the tsunami affected people in Sendai. 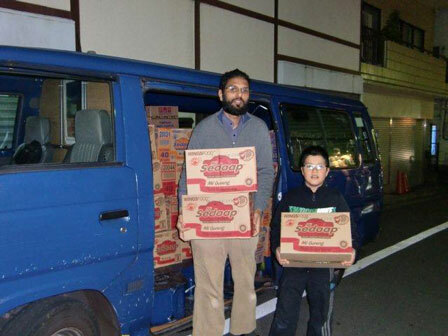 Through the help of Muslim Aid, the JIT have supported up to 6000 tsunami affected people in Sendai with food and water. The local authorities in Sendai welcomed the dry food items as there is currently no gas or electricity in the vicinity for cooking. Goods were also distributed to the Okada Elementary school in Miyagino-ku, Sendai, which is currently serving as an evacuation centre.